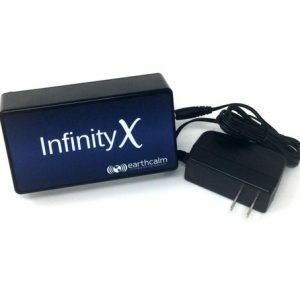 Containing EarthCalm’s most powerful protection technology to date, the Infinity X is versatile protection device perfect for home or travel. If you already own the Infinity Home System, use the Infinity X to provide layered protection, or added protection in a room you feel needs a little extra. Alternatively, use on it’s own! Take it with you for protection in the car or on holidays! To use, simply plug into the any electrical outlet. 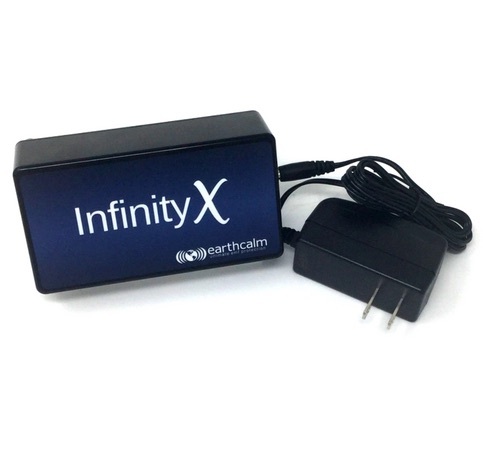 Infinity X is Earthcalm’s latest addition to their EMF protection product line. It is designed to be used in conjunction with the Infinity Home System, but can be used separately also. 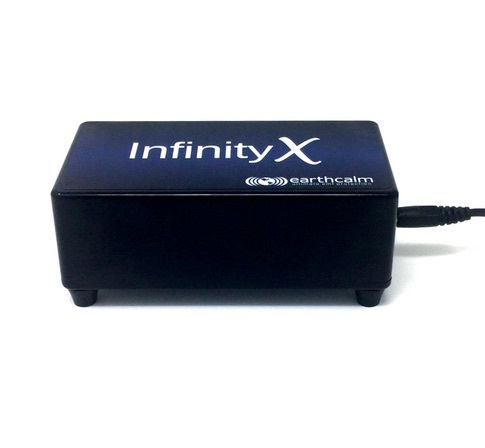 Infinity X contains an even more powerful version of EarthCalm’s Sanctuary Technology. It works together with your home’s electrical system to add protection to the entire room where it’s plugged in and (to a slightly lesser extent) the rest of your home. One of the great things about the Infinity X is that it’s portable! Take it with you to the office, in the car or on holidays! When used on it’s own, Infinity X won’t be as strong as when it’s combined with the Home System, but it’s a good temporary option for when you’re on the go. Can I just buy Infinity X instead of the Infinity Home System? Why do I need both? The Infinity Home System works to protect your entire house. Infinity X works in synergy with the Infinity Home System providing an added ‘layer’ of protection to the room where it’s plugged in. The combination of the two products creates the strongest level of protection. Please ensure you have adapted to all 4 phases of the Infinity Home System before adding in the Infinity X. Does Infinity X work with older Home Systems? Yes it does, but you should consider upgrading to the latest version of the Infinity Home System. You can do that easily by purchasing the Synergy Booster. Proximity is important with the Infinity X. A great place to locate the product is somewhere where you spend a lot of time or where you sleep. It’s more effective the closer you are to where it’s plugged in, and it’s strength can be somewhat diminished by walls of your home. Having one in each room is highly recommended. Why not just wear the Sanctuary Band/Pendant? Wearing a Sanctuary Band or pendant is still important for when you’re on the go. As all EarthCalm products are designed to work in synergy with each other, you’ll benefit from layers of protection the more EarthCalm products you use.